It’s 5 o’clock somewhere. When you need to unwind with something tall and strong, look no further than our list of the city’s hottest food-and-drink deals to keep you cool during the August heat. 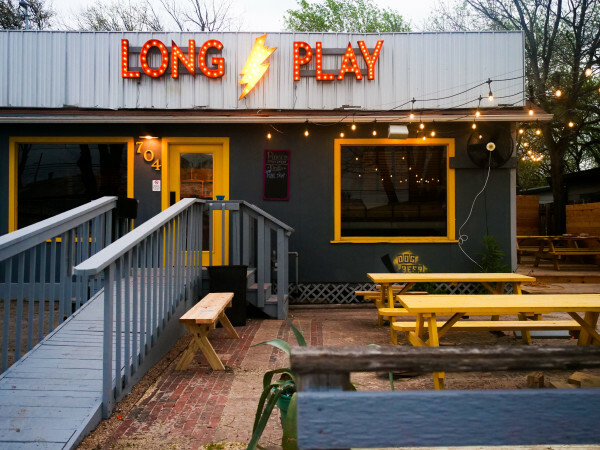 Austin’s happy hour game is strong, and we’ve compiled 10 of our favorite destinations so you can hit the town in style, all while ballin’ on a budget. More than five Italian restaurants have opened in Austin this year, which begs the question: Which do we try first? We suggest the newly opened Juliet Ristorante, which excels in creating authentic yet inventive Italian cuisine and offers one of the most generous happy hours in town. 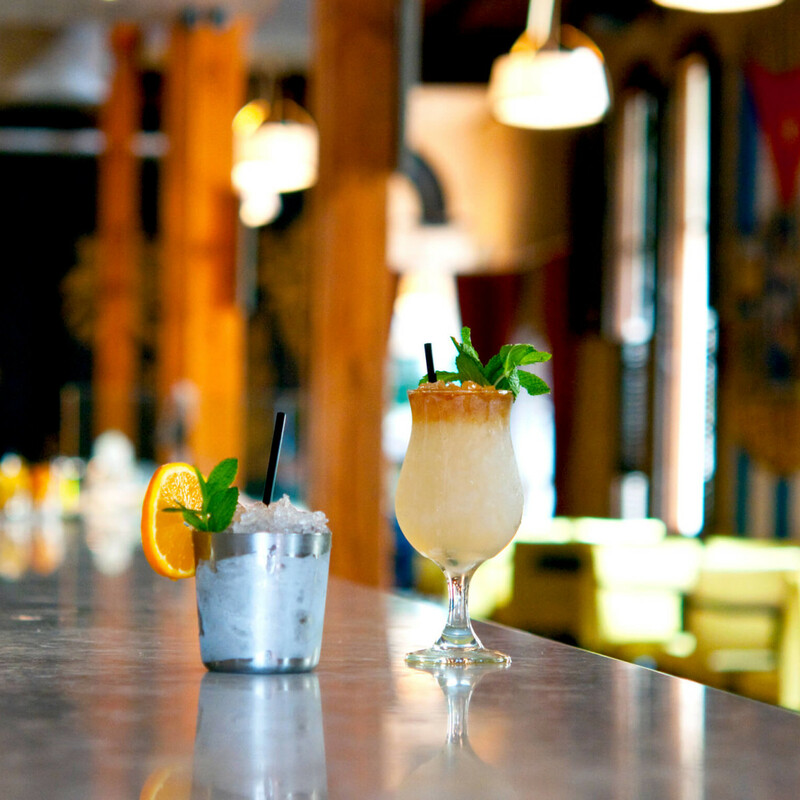 From 3 to 7 pm, seven days a week, Juliet serves $7 cocktails, $5 house wine, $4 draft beer and half off rosé. Food offerings include $1 to $3 off appetizers and pizza options. Try one of the Negroni cocktails with a salumi and cheese board, which comes with house-made bread. With secluded lounge areas and unique decor, Juliet provides the perfect escape from a warm summer day. 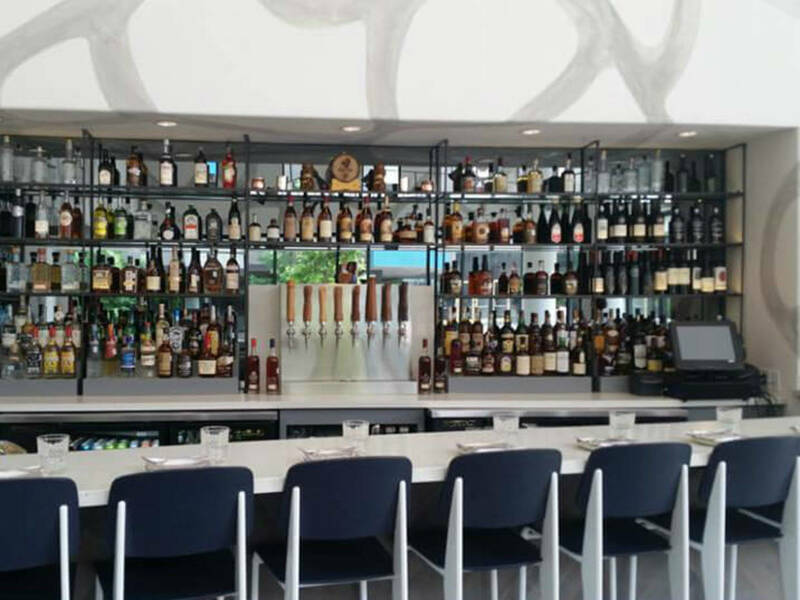 The upscale yet approachable vibe of Italic has already made it a popular spot. Serving rustic Italian dishes, happy hour runs Monday through Friday from 4:30 to 6:30 pm and serves $3 to $10 appetizers, $4 glasses of wine ($16 for a carafe) and $1 off draft beer. Fresh-baked focaccia is complimentary with all drink orders. Over in the Lamar Union complex, Cantine Italian Cafe & Bar serves a delicious weekday happy hour from 4 to 6 pm in its bar area. With an Italian-Mediterranean approach to the menu, sip $5 sangria or nibble on one of the half-off starters like the blistered shishito peppers or the Mediterranean dips with house-made pita. 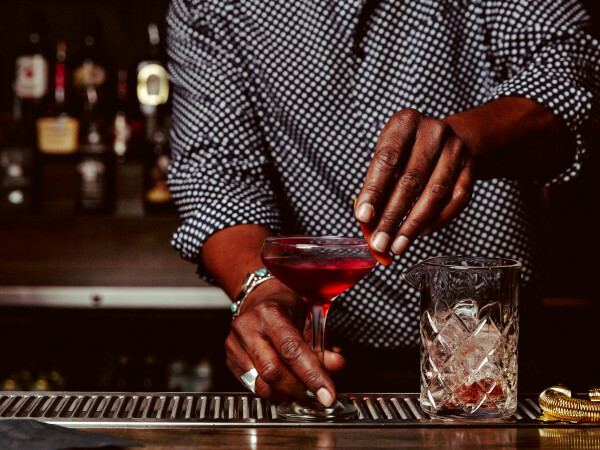 Other happy hour deals include $2 off signature cocktails — including the two on tap — and wine and beer. In need of a vacation? 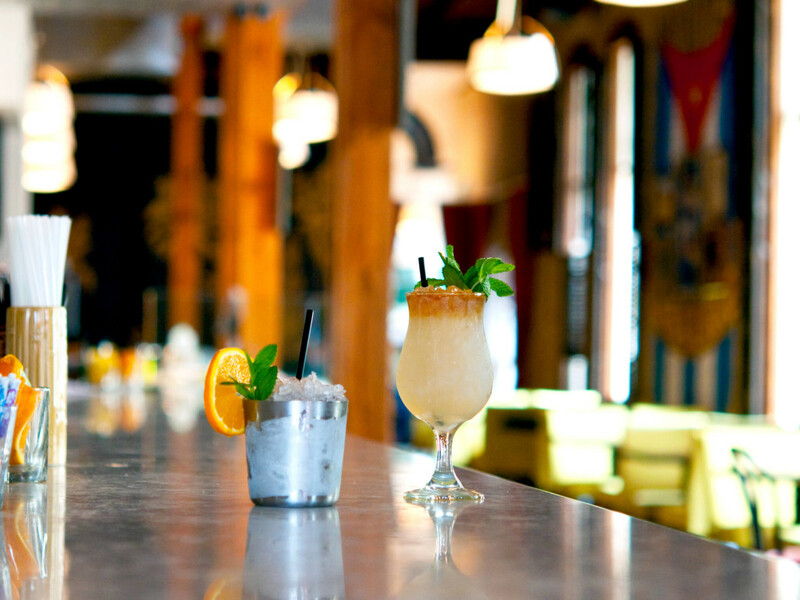 Step inside Alcomar and it’s like you're beachside in Mexico. 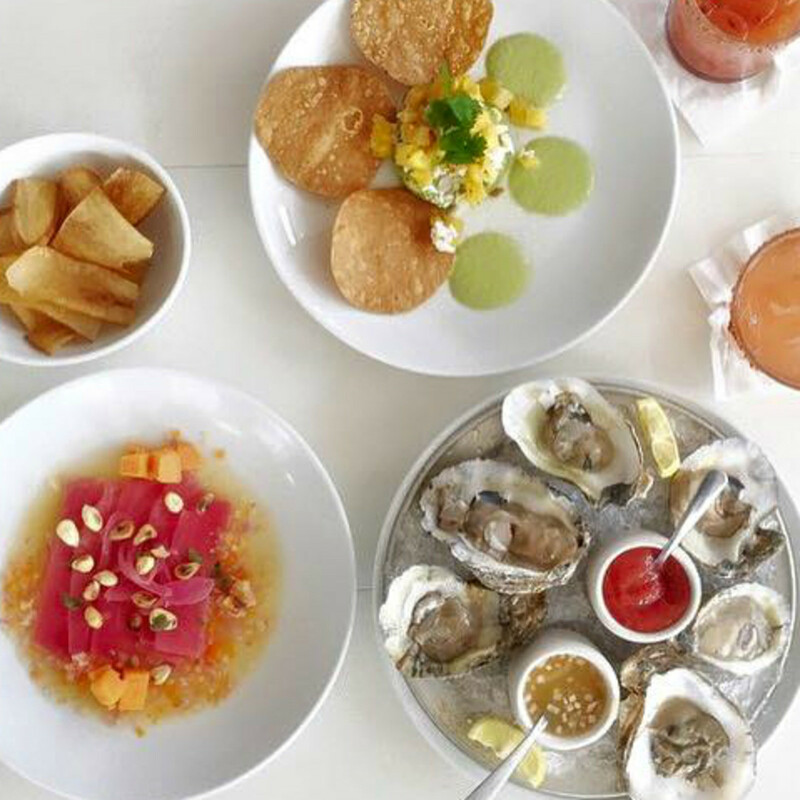 With a clean and clever coastal design, the latest restaurant from El Chile Group emphasizes seafood dishes with a Latin twist. Happy hour takes place from 3 to 6 pm every day and offers half-priced bottles of wine, deals on interesting margaritas (try the Xalarita, a frozen concoction with cucumber-xalapeño puree for $6) and sangria, as well as $3 off selected appetizers. A must-try plate is the Cebiche Peruano — a colorful array of ahi tuna, corn nuts and sweet potatoes, served with yucca chips. For a little afternoon delight, enjoy lunchtime happy hour (11 am to 3 pm) featuring discounted drinks. For sensational seafood straight off the Gulf Coast, look to Mongers Market + Kitchen, a space offering a full dine-in menu along with whole fish take-out options. With the freshest possible seafood at top of mind, stop in for Mongers’ Afternoon Oyster Social Wednesdays from 2 to 6 pm. Specials include half-off oysters, $5 select wines, house-made sangria and mimosas, plus $1 off drafts. 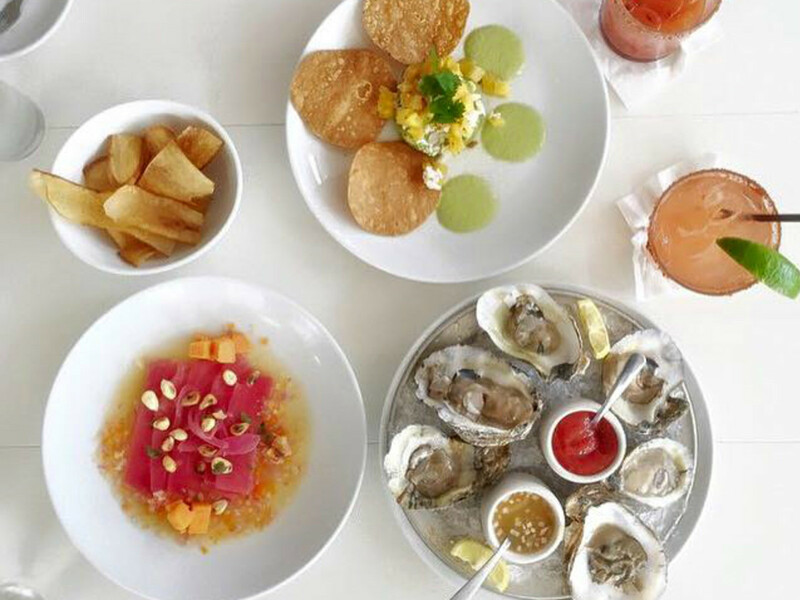 Serving tropical island fare, Isla provides a Caribbean getaway, and the interior is worth the visit alone. To seal the deal, Isla serves superb food accompanied by specially crafted cocktails, but be warned: A couple of these $6 drinks during happy hour, take the Ankle Roller, for example, could have you calling an Uber. Happy hour here is all day Monday and Tuesday and 4 to 7 pm on Sundays and Wednesday through Friday. Isla's happy hour also includes 25 percent off starred food items, such as the grilled octopus and traditionally prepared empanadas. 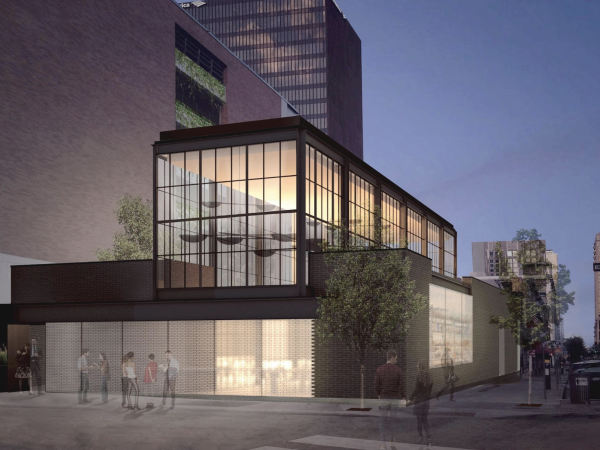 VOX Table highlights farm-to-table ingredients set in a modern space on South Lamar. 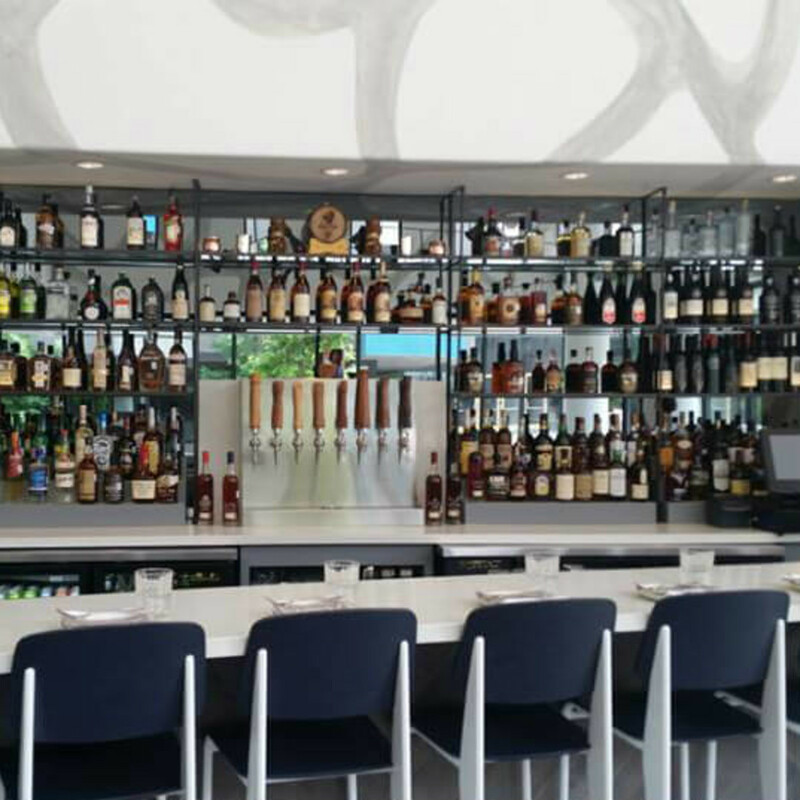 Utilizing French and Spanish influences, sit at the bar top from 5 to 6:30 pm, Monday through Friday, and enjoy the restaurant’s small plates at a fraction of the normal cost, like the $6 slider-like tongue and cheek buns and $6 poutine. The happy hour menu also includes $4 draft beer, half-off wines by the glass (plus, $5 fortified wine) and $6 cocktails. Join Jacoby’s Restaurant & Mercantile for Wine Wednesdays, running throughout August. With a stellar wine list, Wine Wednesdays gives guests a chance to purchase a bottle for 50 percent off. Happy hour normally runs Tuesday through Saturday from 5 to 6 pm, so reap the full benefits by going on Wednesday and enjoying wine coupled with Jacoby’s farm-to-fork offerings. We recommend trying the sinfully Southern-comfort onion rings or the pimento cheese for $5 or splitting the half-pound cheeseburger with a friend for $10. On Tuesdays through September 9, head to the eastside for the Eat East Series, which introduces guests to tasty eateries at a premium rate. Our favorite deals include The Silo on Seventh’s frozen margarita paired with fried deviled eggs (trust us, you will die and go to heaven after savoring one of these) for $9 and Tamale House East’s two margaritas and a small queso for $10.